As video customers increasingly need to handle multiple video formats for distribution on multiple platforms and access reliable communication between locations while covering live events, SES has unveiled a new product — “OU Flex” — that is designed to enhance Occasional Use (OU) services. While supporting live video distribution as a priority, the OU Flex solution also provides high-quality IP connectivity to enable the simultaneous use of multiple data applications — including connections to a corporate network, emails, web browsing, video file transfer, as well as feeding live video content to social media, or streaming live video content in high-quality online. 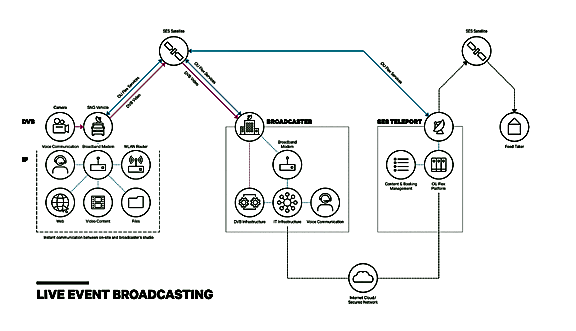 OU Flex transforms the traditional one-way feed for video broadcast into a two-way connection between the site and the studio, providing more flexibility to broadcasters and SNG (Satellite News Gathering) operators to facilitate remote production and distribute video content to online platforms. Working in collaboration with Newtec, a specialist in designing, developing and manufacturing equipment and technologies for satellite communications, the OU Flex solution integrates the Newtec Dialog® platform, which enables SES to deliver dedicated, reliable connections to broadcasters for video and data transmissions. 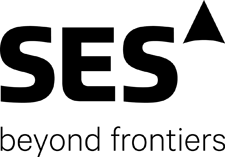 By allocating bandwidth dynamically, SES can provide high throughput, seamless connectivity, regardless of the number of reporters and users relying on the network at the event. To benefit from this platform, broadcasters already equipped with an SNG truck or fly-away solution only require an OU Flex broadband modem, thus reducing the necessary investment compared to other technologies. Once equipped, video customers can choose to transmit via the SES teleport and rely on SES to manage all traffic going over the satellite, and get a dedicated and secured link between the hub and their studio. Offering time-based consumption, the OU Flex solution provides the flexibility customers need for their various requirements and offers easy access to connectivity via its dedicated booking system. Steve Bisenius, VP, Regional Sales Engineering, SES Video, said that live event and breaking news coverage today poses multiple challenges in meeting viewer expectations. Viewers demand instantaneous access to information, high picture quality, and the ability to watch video content anywhere, on any device. OU Flex is the ideal solution to help broadcasters address those needs. Combining the best of the video and data worlds, OU Flex provides the reliability needed for seamless live broadcast in high quality and the IP connection required to exchange information as well as stream video content online. OU Flex optimizes the way live events can be delivered, enabling broadcasters, event organizers and content creators to focus on growing their business and offering the best possible experience to viewers.